Make Up Rules to Makeover Yourself !! To do makeup is a great art, in today’s era make up is at its peek. But doing makeup is not everyone’s cup of tea. If you do make up with more care and manner you get the best result and your face look very pretty and charming. But if makeup is done in urgency, it causes to make you horrible instead of beautiful. So here you are gonna find some essential rules to follow in makeup for best results. •First of all you must keep clean your dressing table from unwanted material that can cause dividing your attention, while doing makeup. Without concentration on makeup you can’t get the best results. •Avoid using fake material and be aware of your cosmetics status either it’s not expired. It can harm your face skin. •Good health is very imperative in looking good. So always be in the pink by using best diet plan. Without good health you can’t look gorgeous even having the best makeup. •Urgency in makeup is harmful for the skin so never be in rush as doing make up. •Never let other ladies use your makeup kit or hair brush etc, as it transfers Germs and be risky for the skin. •For better results always have the makeup alike with your dress color. •Make up must be done in bright light. •Always wash your face with good quality soap or face wash before starting make up. Otherwise face will look weird and skin will seem spoil. •Make up instruments must be kept hygienic, particularly brushes. •When you start makeup, keep your brain washed from all the nervousness and stress. Most of the ladies have the worst makeup only due to anxiety or worries. And be every one’s eye apple. It’s also an important rule of makeup to be tension free. You must keep blush on, lipstick and powder in the purse to handle the emergency situation. Every work has some rules and regulations, if they do followed, must succeed. Like that make up also has some laws to follow. Hope to keep in mind in all above pointed points to have a great and stunning make up. Do your own Lady Gaga's make-up !! Here a few dramatic beauty tips for anyone who wants to go Ga Ga.
You want to start with a primer, this will give your skin a smooth finish. We recommend using M.A.C. Prep + Prime Skin because it contains silicone, removes shine, and works great when blending your foundation. 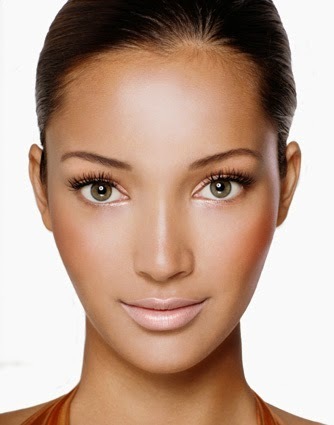 Use a liquid foundation like Make Up For Ever HD Foundation in a color that matches your skin tone. Once you are finished applying your foundation, set it with a loose powder. For this look, we recommend using Revlon Illuminance Creme Shadow in Black Magic because it contains both a matte white cream eye shadow and a shimmering black cream eye shadow. Use your finger to apply the matte, white cream eye shadow in uneven amounts around the entire eye. Apply more in some areas, very little in others, and carelessly blend. Make sure that you have full coverage when working towards the lash line and the bottom rim of your eye. If necessary, go over this area with a white pencil eyeliner. With a lip brush, add a black cream eye shadow beneath the lash line of your bottom lid (leave your lower rim and the top of your lower lash line white). Add the black cream eye shadow to the upper lid, bringing it from the inner corner of the eye up to the crease, then swoop it down and out toward the outer corner of the eye to create a cat eye shape. Using your finger or a clean brush, blend the outer edge of the black eye shadow with the white layer beneath it, sweeping back and forth gently so that it lightens the intensity of the black color. 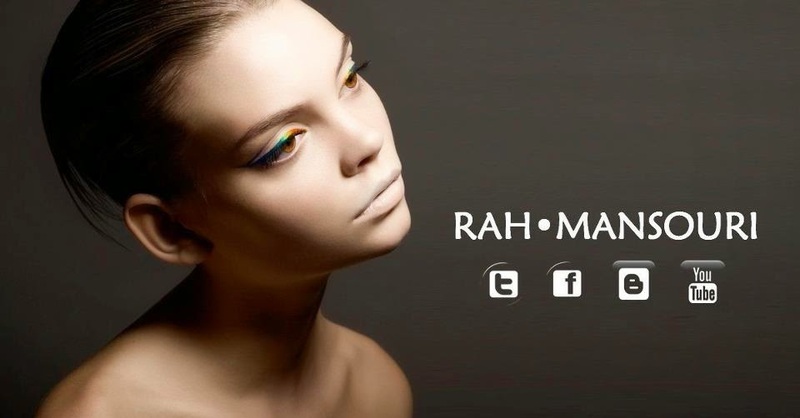 For an intense, long-lasting black color, set the cream shadow by patting a black eye shadow powder (try M.A.C. Shadow Pigment in Dark Soul) on top of it. This should follow the same shape that you made with black cream shadow in step #2, but it should be about 1/4 of an inch smaller, leaving the blended black-white portions un-touched. Use a Q-tip to swipe a wedge-shape out of the outer corner of the eye shadow you have applied. You can leave this wedge skin-tone or fill it in with more of the white eye shadow, depending on how much white you have in the surrounding area. Finish by sprinkling a little bit of loose glitter over closed eyes. It doesn't matter if you have fallout on the face or body since you will be adding more glitter to these areas later. Wear a coral-tinted lip stain and cover it with your favorite sheer lip gloss. Pinch a sponge applicator so that it's crinkled and condensed. Keep your sponge applicator crinkled and dab it in a white cream eye shadow or in M.A.C. Pro Studio Fix in Shivering White. Un-pinch the sponge and let it expand back to its regular size. Apply this to your face by placing it in random areas, leaving some gaps of bare skin. Apply more if necessary to build spots of textured, uneven white. Add more texture by dabbing the cream with the bristles of a stiff makeup brush. Sprinkle loose glitter on random patches of skin. Let it naturally fall and disperse. If you want a little more staying power, spray a light veil of hairspray over the glitter to keep it in place.